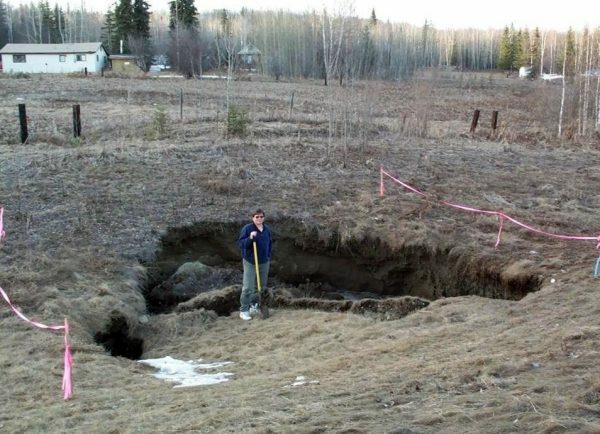 UAF researcher Vladimir Romanovsky poses near Fairbanks, Alaska in a place where permafrost has thawed, causing a surface disruption. UAF photo from UAF permafrost research. Alfred Wegener Institute, Helmholtz Centre for Polar and Marine Research, January 16, 2018. University of Bristol, January 3, 2019. 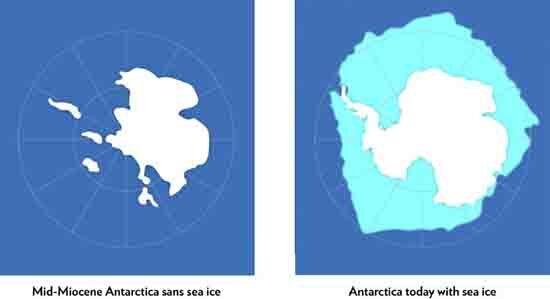 "A key finding is that much of the methane produced beneath the ice likely escapes the Greenland Ice Sheet in large, fast flowing rivers before it can be oxidized to CO2, a typical fate for methane gas which normally reduces its greenhouse warming potency." "Scientist Brad Lister returned to Puerto Rican rainforest after 35 years to find 98% of ground insects had vanished." 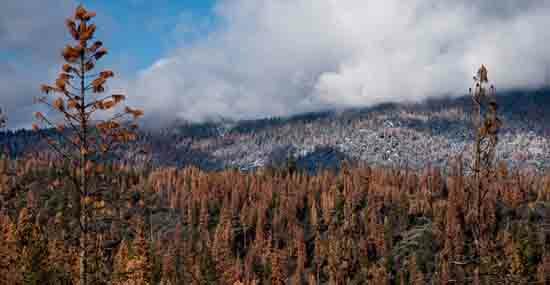 Many trees in the Sierra have died in the past few years because of drought. Photo & Caption Credit: UC Merced. UC Merced, January 9, 2019. Bigger Global Warming Waves a Surfer’s Dream? Global Warming a Surfer’s Dream? University of California - Santa Cruz, January 14, 2018. “Climate change is modifying the oceans in different ways, including changes in ocean-atmosphere circulation and water warming.” And now, wave power. "For the first time, we have identified a global signal of the effect of global warming in wave climate. In fact, wave power has increased globally by 0.4 percent per year since 1948, and this increase is correlated with the increasing sea-surface temperatures, both globally and by ocean regions." University of Wisconsin-Madison, January 14, 2018. What is the Real Status of this Disturbing Situation with PG&E? Where did this Hot Mess with PG&E Come From? Let's Review the Recent Past to Find Out! Let's review PG&E's recent history of fires and political disaster relief (for PG&E) bought with millions of dollars of blood-money bribes to Brown & the Legislature, and a series of multi-million dollar slick corporate-media,"feel good," propaganda campaigns from PG&E telling us how, "good," PG&E is. 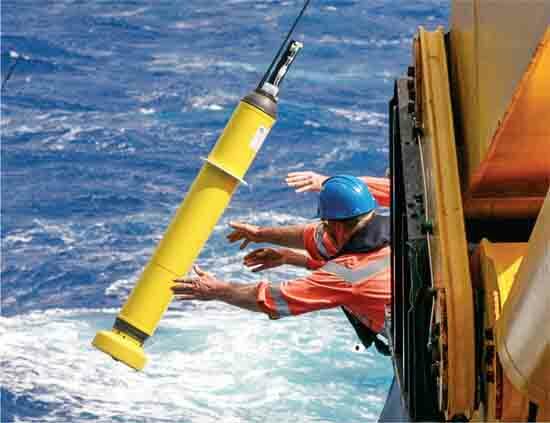 UC Berkeley Scientists deploy an Argo float searching for the truth about rising ocean temperatures. University of California - Berkeley, January 10, 2018. Report puts quiet coda on wild allegations published in the Daily Mail. Remember the big NOAA “Climate Scandal,” of 2015? Allegations in 2015 of NOAA scientist/research misconduct, leading to falsely increased global warming measurements, proven completely unfounded. These allegations were the basis of a series of sensational Daily Mail articles about scientific misconduct at NOAA leading to inflated claims of global warming. The original research documenting increased warming is correct, and those Daily Mail articles criticizing that research, are in error. Daily Mail, Feb 4, 2017. ESA/Hubble Information Centre, January 7, 2019. 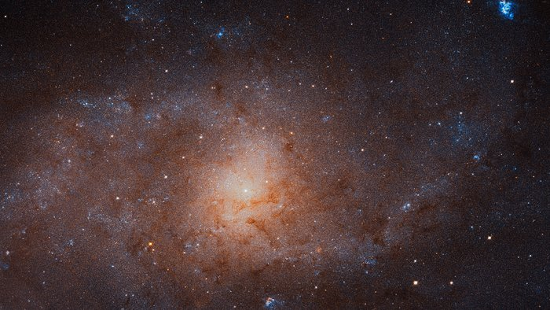 Location of Triangulum Constellation & Galaxy, "M 33:"
"Our drug quality is probably not what we think it is." Ars Technica, January 7, 2019. "An investigation by Kaiser Health News...reveals a frightening record of medicines in the US being tainted with dangerous bacteria, mold, glass shards, rubber bits, cancer-causing chemicals, mysterious powders, and worrying metal particles....medications with too much or too little ingredients—or simply the wrong ingredients entirely." 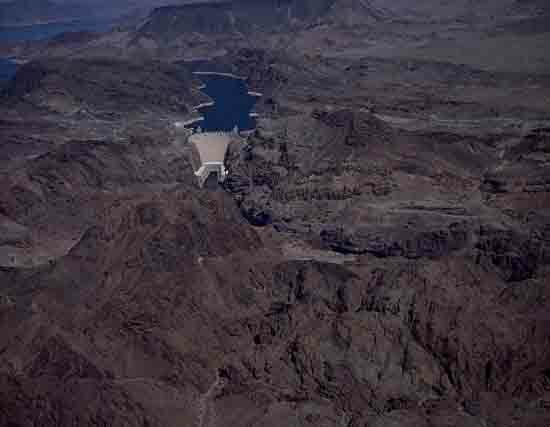 Diminshing Waters of the Colorado River backs up as Mead Lake behind the Hoover Dam. Image by Carol Highsmith. Arizona Star, January 5, 2019. ASTROPHYSICS: WHAT IS THIS THING? 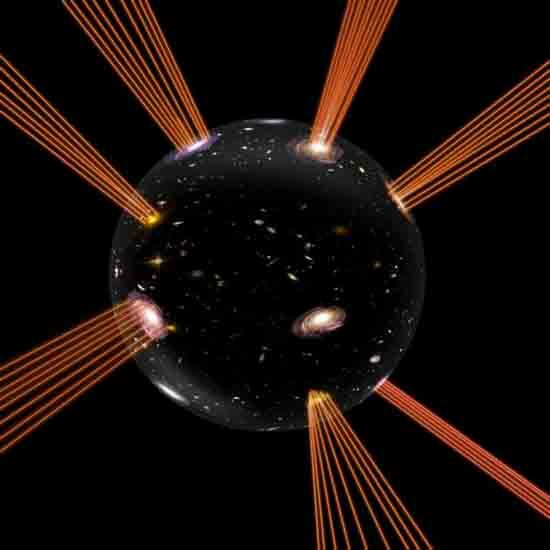 Is This what Our Universe really looks like? Uppsala University, December 31, 2018. University of Oxford, January 7, 2019. 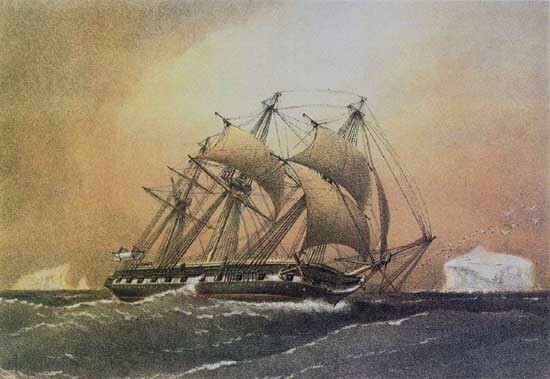 Painting of the HMS Challenger, possible collecting Artctic Ocean-bottom temps, by William Frederick Mitchell originally published for the Royal Navy. Woods Hole Oceanographic Institution, January 4, 2019. Winter Snows are a Primary Source of Water for the Western U.S.
University of Nevada, Reno, January 2, 2019. "Small temperature changes can lead to large ecological changes." "More intermittent snowpacks means water flow is more difficult to predict. We might not get as much water into the ground, throwing off the timing of water for plant root systems, reducing our supply and use, and even affecting businesses such as tourism." Santa Fe Institute, December 27, 2018. “...take what functional data we have available from databases and pair this with locally collected field data, as well as data about species abundance, to say something about climate-biodiversity relationships that we couldn't say before." 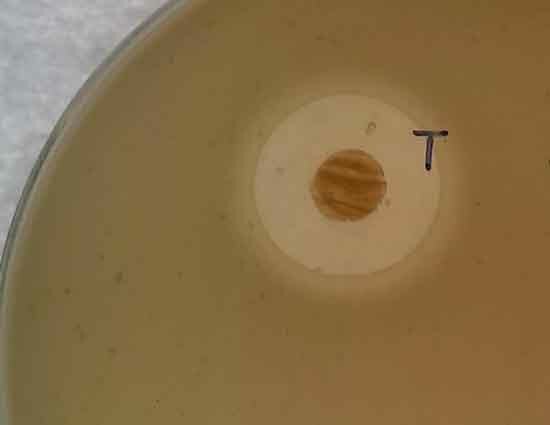 The Supersoil is the brown spot inhibiting the spread of the MRSA which is surrounding it, by G Quinn, Swansea University. Swansea University, December 27, 2018.